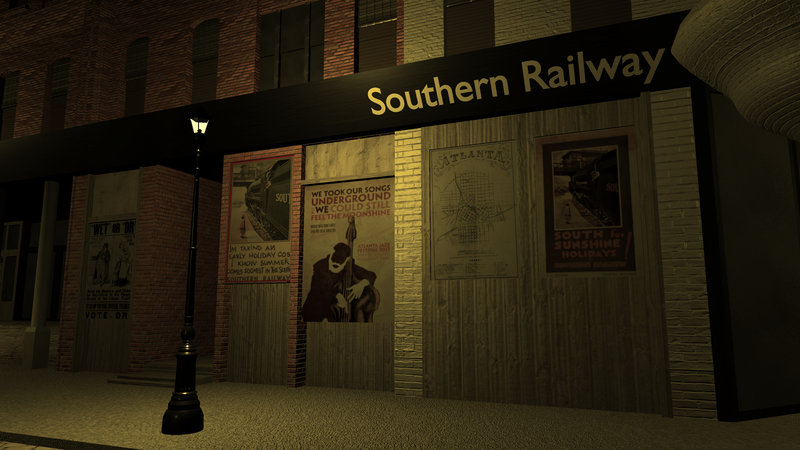 It has been over half a year since the last update on the 3D Atlanta project. Nonetheless, the project has constantly been evolving and maturing. 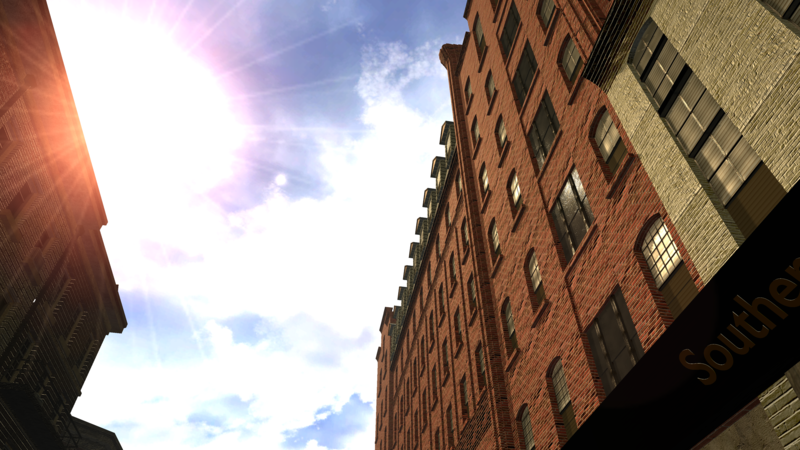 The 3D Atlanta group and I have been high at work to contribute our best to the project. 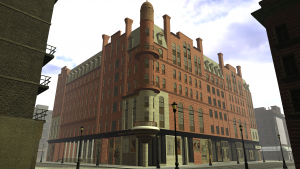 At the time of the previous update, the project had a few buildings at the corner of Decatur and Central Ave. We have since expanded from that corner to cover the city block bounded by Pryor, Decatur, Wall St, and Whitehall St (now Peachtree St SW). 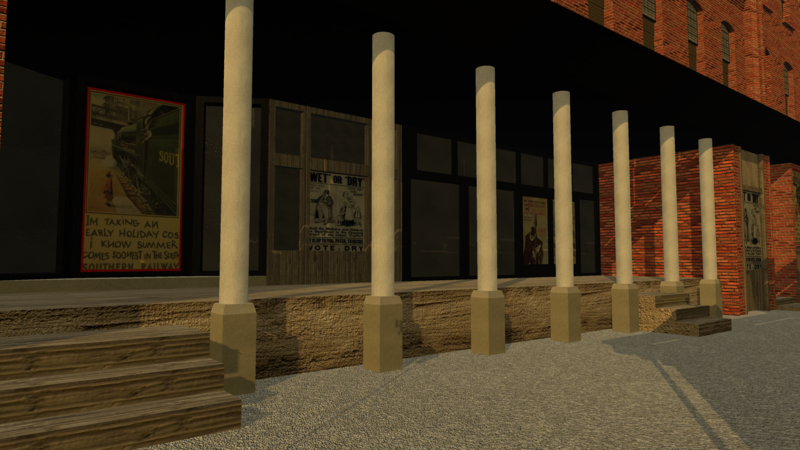 We also 3D modeled and situated one of the most important and historical landmarks of Atlanta, the Kimball House. As a 3D graphics enthusiast, I spent a good deal of attention to the visual aspect of the project. The project, for now, is in form of a game created in the Unity game engine which gives users the ability to try out the immersive experience of virtual reality with stunning graphics capability. 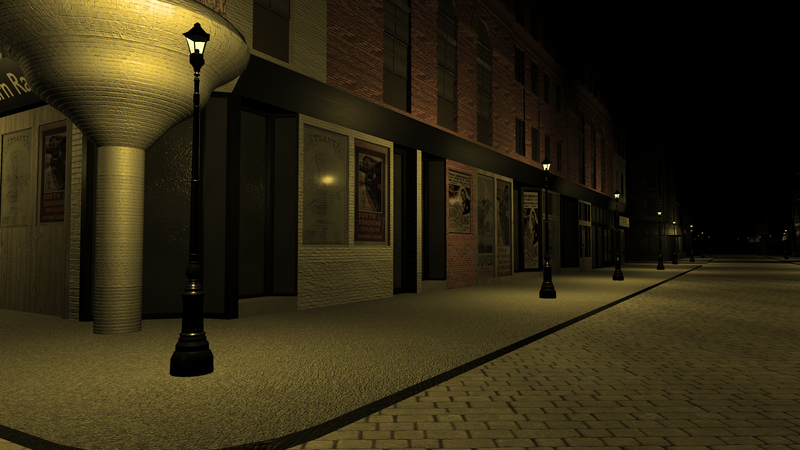 Users will be able to relive the old Atlanta in both the lively daytime and quiet night time. 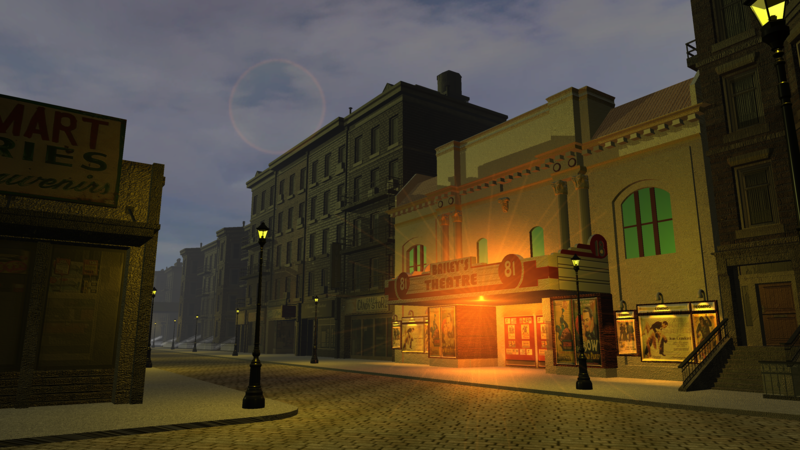 The day and night cycle is automated seamlessly giving the expression that the world is changing day by day in the game. 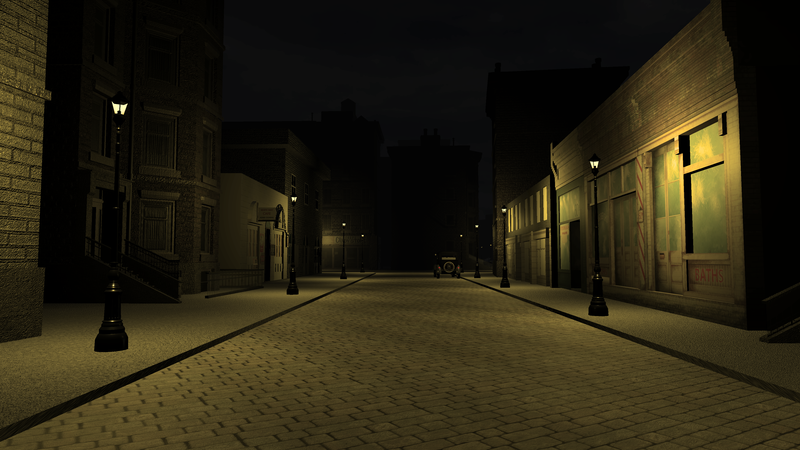 Here are a few screenshots from the project to give you a closer look at what we have been up to. All in all, I am very excited about what we can do with Unity and how promising the future of the project is. Also, we are collaborating with Emory, who is also working on a similar project, to combine our effort in making the project grander. I hope you are as excited as we are.